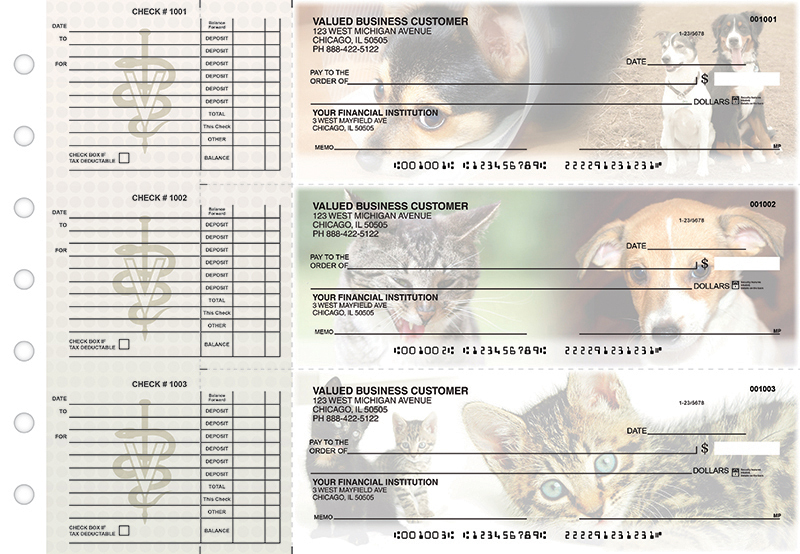 Order Veterinarian business checks online in a variety of stylish designs! These Veterinarian bank checks can be used with any U.S. bank account, and are priced the same or less than what your bank would charge you for their generic checks. Available in single and duplicate check format. Deposit slips are also available..